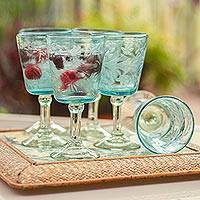 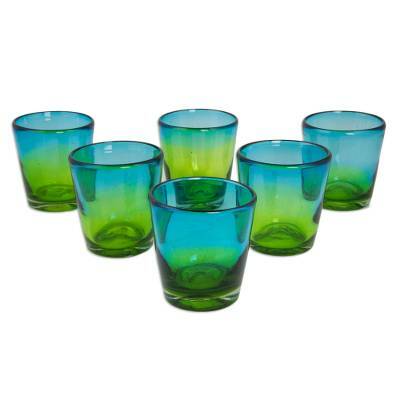 Aquamarine dissolves into a vibrant lemon hue in the refreshing design of these rocks glasses. 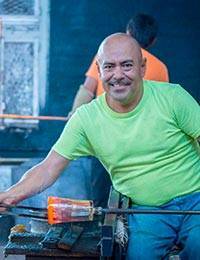 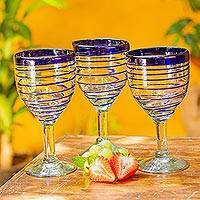 Designed by Javier and Efren each glass is crafted with Mexican blown glass techniques, in which artisans blow through a metal pipe while twirling it with one hand. 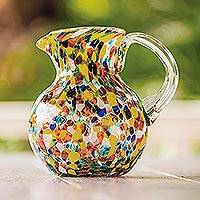 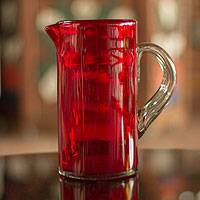 They simultaneously shape the molten glass at the other end, expertly achieving this color effect.